"Horrible things are happening," he says. 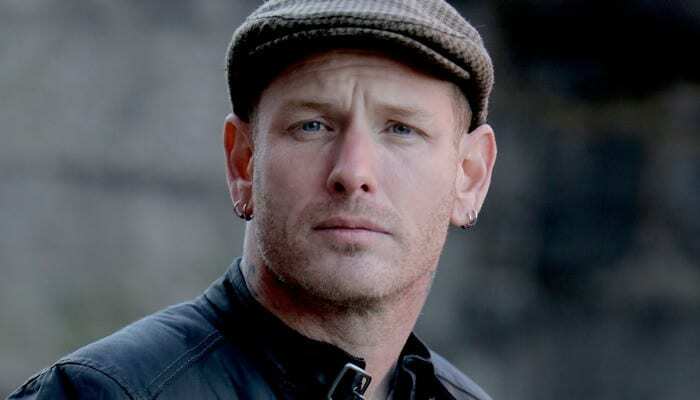 Slipknot and Stone Sour vocalist Corey Taylor questions America’s freedom and warns of fascism in a new interview with Music Feeds, the musician tackling issues surrounding the “giant orange elephant” in the room, President Donald Trump. Speaking to a growing divide in the U.S., the musician points to the controversy that engulfed Nike‘s recent advertisements featuring Colin Kaepernick, the football player who protested against racial injustice by kneeling during the anthem. On top of that enlightening point, Taylor also claims it’s “not true” that America is “the freest country in the world.” The singer notices a “certain type of fascism coming in” while Americans struggle to hold onto some sort of national identity. The longtime Stone Sour and Slipknot member points directly to the “absolute sham in the White House” for enabling a fearful attitude. And Taylor urges that “horrible things” are happening due to such a tribalist atmosphere. Meanwhile, Slipknot are busy bringing their long-awaited new album to life. Taylor has said that 2019 is the year fans will see the band’s sixth full-length effort and their first record release since their 2014 entry, .5: The Gray Chapter. And the musician’s already hinted that the new music is “Iowa levels of heavy,” the singer harkening back to the band’s Hawkeye State-saluting second album. Are you ready to hear some new ‘knot in 2019? Sound off in the comments.